Do you ever have a party sneak up on you? 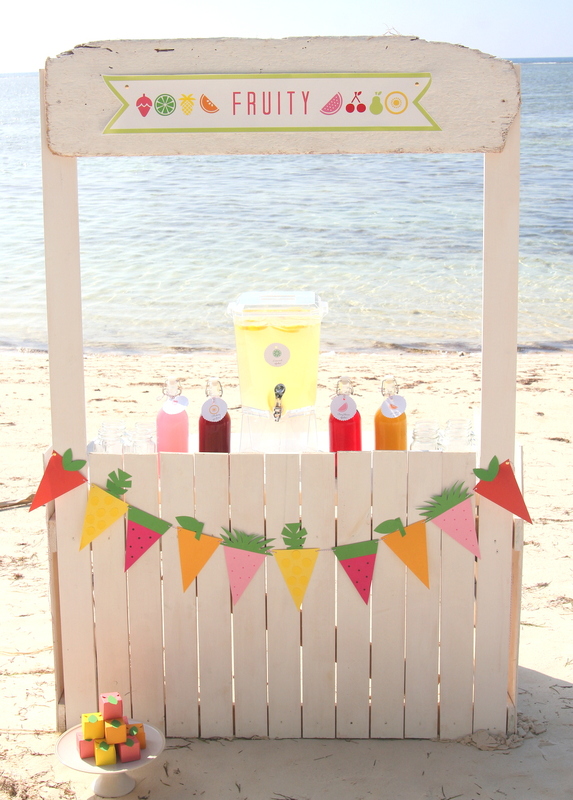 Since my first rule of party planning is “start early,” I usually have a pretty good pulse on my party to-do list. But not for this Fruit Party. Between my parent’s visit, and Tropical Storm Bavi blowing through here and leaving us without power and water for five days, this weekend’s Fruit Party (and Juice Bar) pretty much slipped my mind until Friday morning (as in, the day before the party). 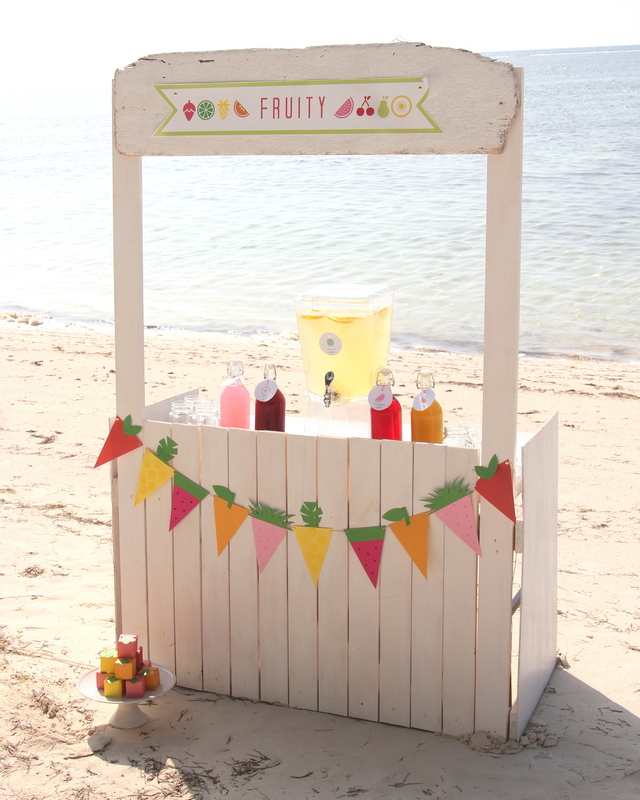 Luckily, the Lemonade Stand we made last fall made an easy transition to a Juice Bar. And the beautiful beach-y backdrop meant we didn’t need to go overboard with the decor. Even better, Thursday evening, a fabulous Party Pack (including the 1-2-3 Punch Board and Banner Punch Board) arrived in the mail. Let’s just say the timing couldn’t have been better. After putting together a fruit garland for the juice bar and little fruit-y favor boxes (and doing a little grocery shopping and juice making), we were Fruit Party ready! 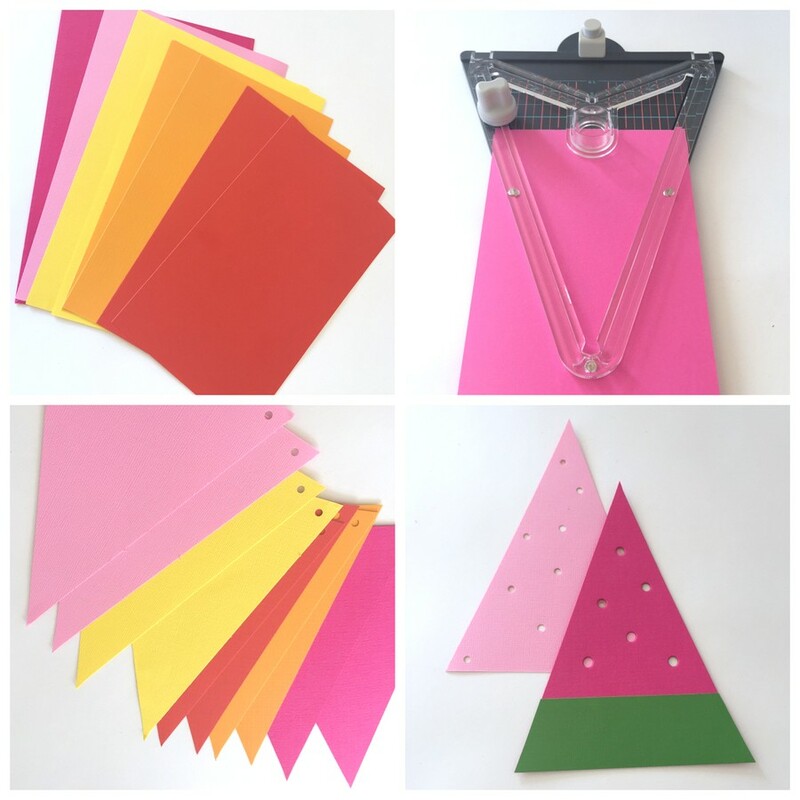 First I cut out a rainbow of flags for the banners (guys, this banner punch board = the biggest time saver ever… especially for a girl like me that makes a garland for every occasion). Next, I added stems and embellishments to make the flags into strawberries, pineapples, peaches, watermelon slices and apples. Little green stems and leaves, black polka dot ‘seeds’ and green rinds turned the colored flags into fruit flags. After stringing the flags into a banner, this fruit garland was ready for the Juice Bar (which, of course, was a huge hit! 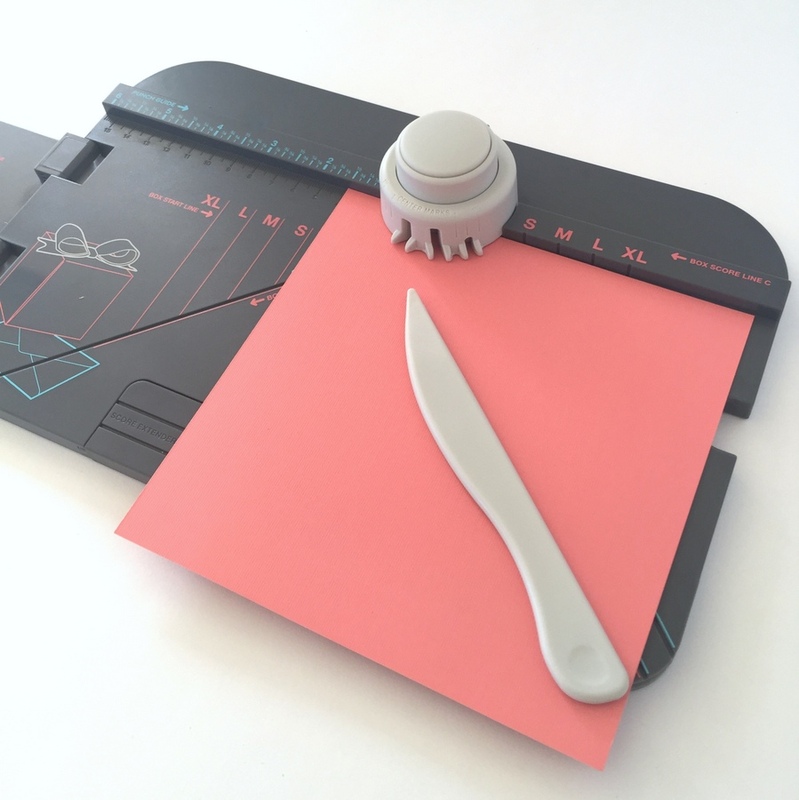 Anything that looks market-ish is so fun for kiddo-party-guests)! 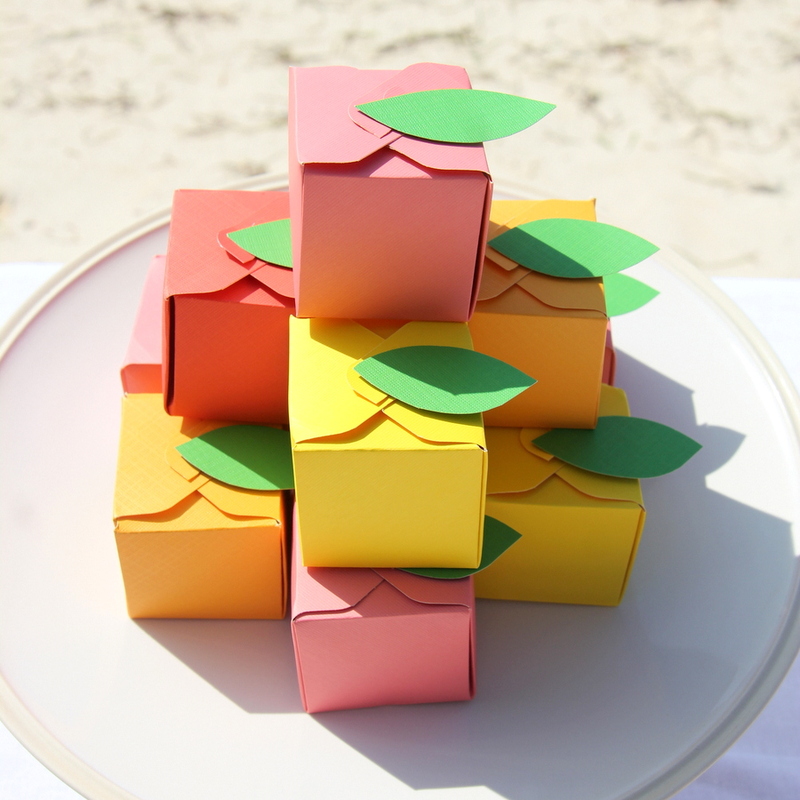 To make the fruity favor boxes, I made a pile of brightly colored small solid colored favor boxes (the 1-2-3 punch board and direction booklet made this so simple!). 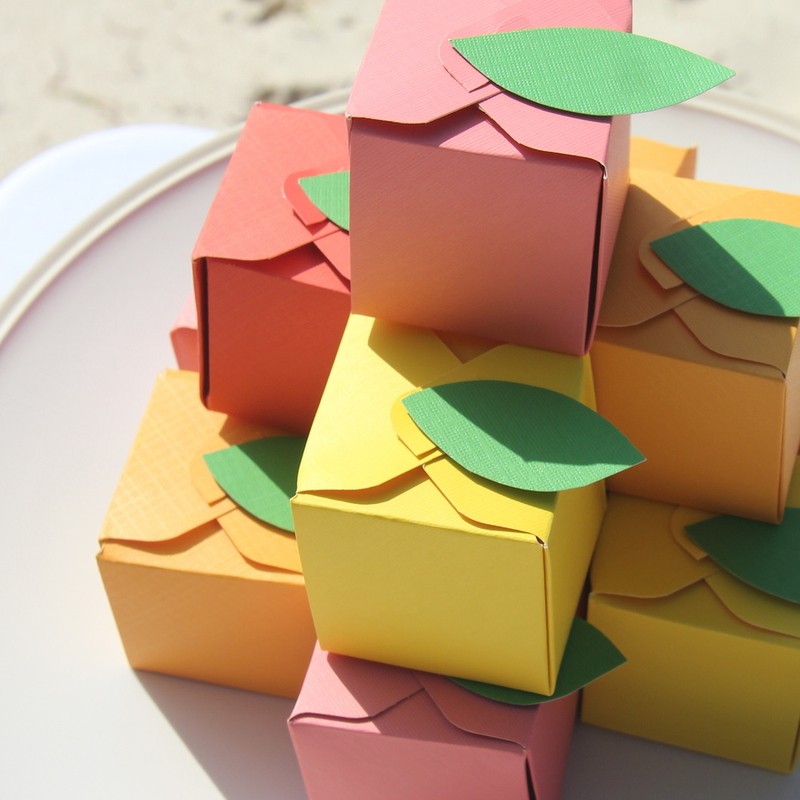 After assembling the boxes and filling each one with gumdrops, I added one little leaf to the top of each favor box. 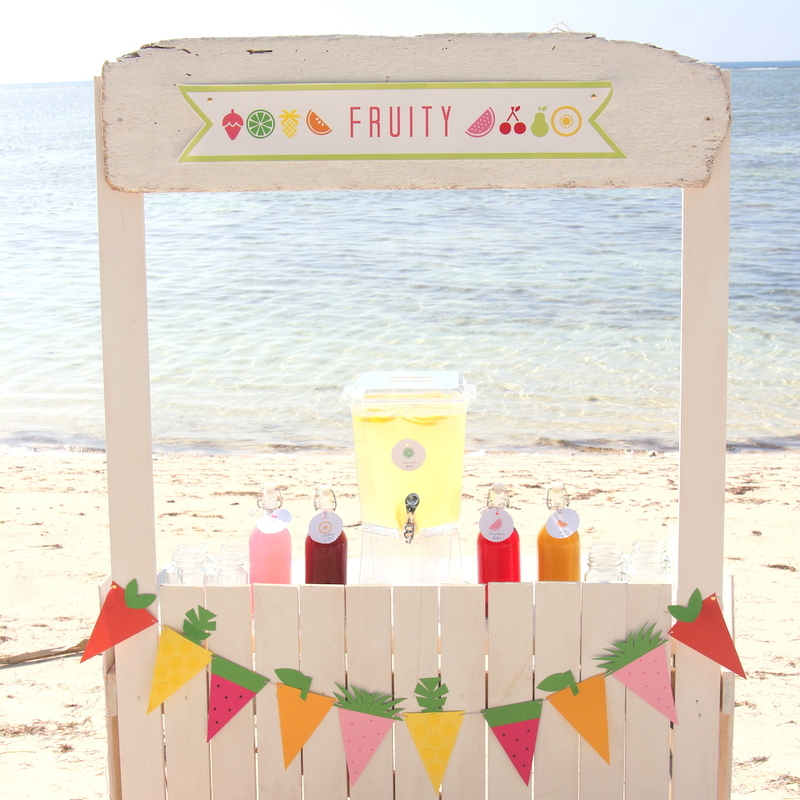 Instant fruity favors (and so cute!). Can I just say that if I were getting married anytime soon, this favor box maker would be my new BFF? 100%. I mean, I love the banner maker as well (and actually, because of my frequent garland making, that one may get more use around here), but I’ve made a lot of favor boxes in my day this little punch board makes it so easy. 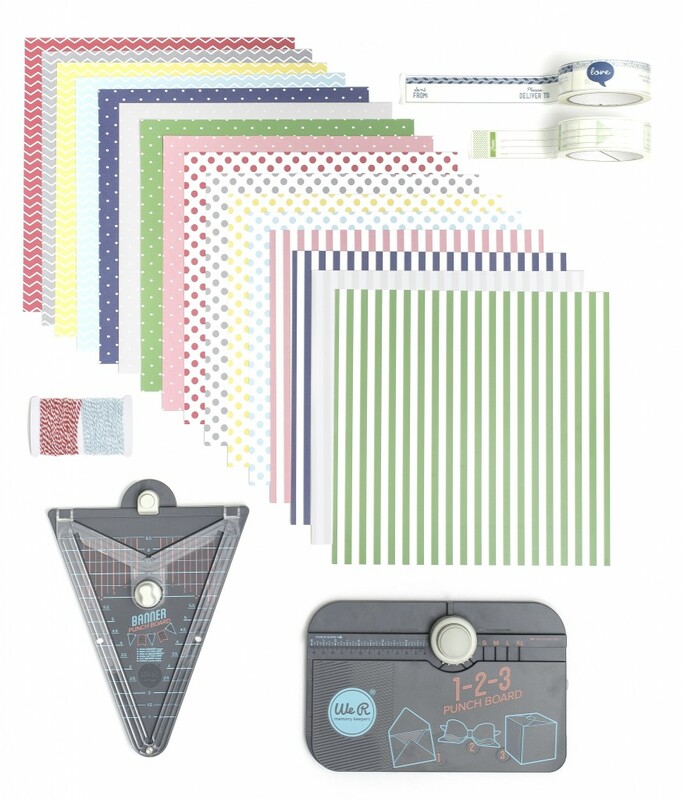 I also love the way you can use this party pack to make presents (umm, hello upcoming teacher appreciation!) or party decor! After pulling off this Fruit Party prep in a day (a VERY busy day, but still, just a day), I feel like I may need to re-evaluate how early I start working on parties. This Juice Bar could very well be the dawn of a new era of party procrastination for me. How about you? Do you start working on your parties wa-ay in advance (like I usually do)? Or are you a party procrastinator (which seems like it might be a better plan)?